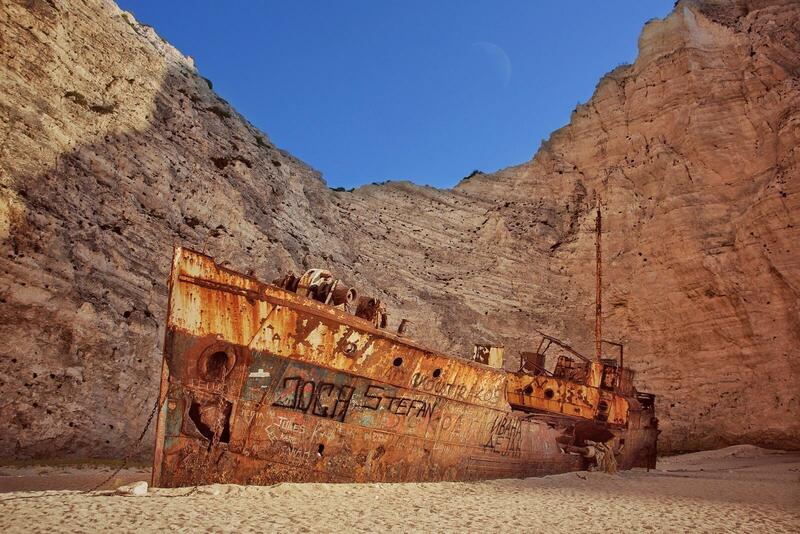 The abandoned shipwreck of the Zakynthos island at the Navagio Beach..
I’m glad the captain dropped anchor! There’s nothing worse than being adrift on the sand. unser schiff legt gleich ab. Der blasse Mond ist das i-Tüpfelchen. Prima Aufnahme. Und wirkt ganz stark vor diesem Hintergrund.